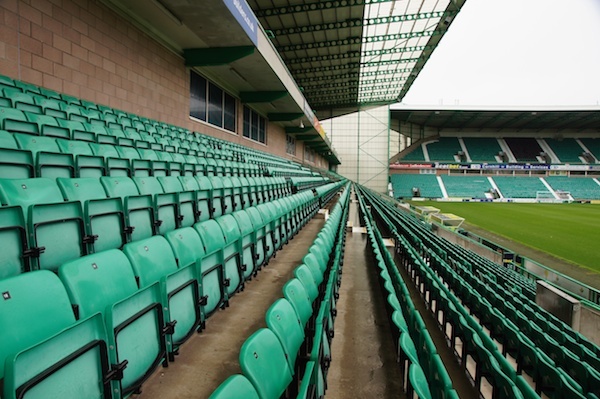 Generous Hibs’ fans have raised over £15,000 and purchased 146 season tickets to allow children who otherwise would not be able to afford to go to games to attend home matches at Easter Road. Leith Links was set up in June 2013 with the aim of helping children and supporting Hibs, by collecting donations so additional Kicks for Kids tickets could be purchased. This season, supporters have exceeded all expectations and Susan Linn from Leith Links said: “I am delighted to announce that we have now raised from Hibs supporter over £15,000, and 146 season tickets for season 14/15 have been purchased. “This is no mean feat, considering the our League position, demands for fans’ hard-earned cash from other quarters and the state of the Economy in general. “It is wonderful to learn how much the children gain from going to the games and they all look forward to their next outing to Easter Road. “In the summer, we’ll be holding yet another auction there’s plans for a football tournament and Leith Links/Multi Cultural Family Base are hoping to team-up for a mini-festival.